Philippe Sands, QC (born 17 October 1960) is British and French lawyer at Matrix Chambers, and Professor of Laws and Director of the Centre on International Courts and Tribunals at University College London. A specialist in international law, he appears as counsel and advocate before many international courts and tribunals, including the International Court of Justice, the International Tribunal for the Law of Sea, the European Court of Justice, the European Court of Human Rights and the International Criminal Court. Sands serves on the panel of arbitrators at the International Centre for the Settlement of Investment Disputes (ICSID) and the Court of Arbitration for Sport (CAS). He is the author of sixteen books on international law, including Lawless World (2005) and Torture Team (2008). His book East West Street: On the Origins of Genocide and Crimes against Humanity (2016) has been awarded numerous prizes, including the 2016 Baillie Gifford Prize for Non-Fiction. On 5 February 2018 Sands was appointed President of English PEN. Sands was born in London on 17 October 1960 to Jewish parents. He was educated at University College School in Hampstead, London and read law at Corpus Christi College, Cambridge attaining a B.A. in 1982 and going on to achieve a first class honours in the LLM course a year later. After completing his postgraduate studies at Cambridge, Sands spent a year as a visiting scholar at Harvard Law School. From 1984 to 1988 Sands was a Research Fellow at St Catharine's College, Cambridge and the Cambridge University Research Centre for International Law (now the Lauterpacht Centre for International Law). He has also held academic positions at Kings College London (1988-1993) and SOAS (1993-2001). He was a Global Professor of Law at New York University Law School (1993-2003) and has held visiting positions at Paris I (Sorbonne), University of Melbourne, the Graduate Institute of International and Development Studies, Indiana University Bloomington, University of Toronto, Boston College Law School and Lviv University. Professor Sands is the co-founder of the Centre for International Environmental Law (1989) and the Project on International Courts and Tribunals (1997). Sands was called to the Bar of England and Wales in 1985. In 2000 he was a founding member of Matrix Chambers and was appointed Queen's Counsel in 2003. Sands was elected a Bencher of Middle Temple in 2009.
claims relating to violations of international criminal law. Sands has acted as counsel in more than a dozen cases at the ICJ, including the Nuclear Weapons Advisory Opinion (counsel for the Solomon Islands); the Georgia v. Russia dispute (counsel for Georgia) and the case concerning Whaling in the Antarctic (counsel for Australia). He has also been instructed in inter-State arbitrations, including the Chagos Marine Protected Area Arbitration (counsel for Mauritius) and the dispute between the Philippines and China over maritime jurisdiction in the South China Sea (counsel for the Philippines). Prior to accepting appointments as ICSID arbitrator (since 2007), Sands acted as counsel in ICSID and other investment cases (including Tradex, Waste Management and Vivendi). Sands now sits as arbitrator in investment disputes and in sports disputes (CAS). In 2005, Sands’ book Lawless World catalysed legal and public debate in the UK on the legality of the 2003 Iraq War. The book addresses a range of topics including the Pinochet trial in London, the creation of the International Criminal Court, the War on Terror and the establishment of the detention camp at Guantánamo Bay. In the second edition of Lawless World (2006) Sands revealed that the then UK Prime Minister Tony Blair had told President George W. Bush that he would support US plans to invade Iraq before he had sought legal advice about the invasion’s legality. Sands exposed a memorandum dated 31 January 2003 that described a two-hour meeting between Blair and Bush, during which Bush discussed the possibility of luring Saddam Hussein’s forces to shoot down a Lockheed U-2 reconnaissance aircraft, an act that would cause Iraq to be in breach of UN Security Council Resolutions. The memo disclosed that Blair told Bush that he would support US plans to go to war in the absence of a second UN Security Council Resolution, apparently contradicting an assurance given by Blair in the UK Parliament shortly afterwards on 25 February 2003. Sands has maintained the view that there was no basis in international law for military action in Iraq. In 2009 Jane Mayer reported in The New Yorker on Sands’ reaction to news that Spanish jurist Baltazar Garzon had received motions requesting that six former Bush officials might be charged with war crimes. From 2010 to 2012, he served as a Commissioner on the UK Government Commission on a Bill of Human Rights. The Commission’s Report was published in December 2012. Sands and Baroness Kennedy disagreed with the majority, and their dissent ("In Defence of Rights") was published in the London Review of Books. Sands and Kennedy expressed concern that support for a UK Bill of Rights was motivated by a desire for the UK to withdraw from the European Convention of Human Rights. Writing in The Guardian in May 2015, Sands argued that plans for a British Bill of Rights could leave some people in the UK with more rights than others and that this would be "inconsistent with the very notion of fundamental human rights, in which every human being has basic minimum rights." On 17 September 2015 Sands gave a public lecture at the UK Supreme Court entitled "Climate Change and the Rule of Law: Adjudicating the Future in International Law". He expressed the view that a ruling by an international judicial body, such as the International Court of Justice, could help resolve the scientific dispute on climate change and be authoritative and legally dispositive. In December 2015, Sands (and two colleagues at Matrix Chambers) drafted a Legal Opinion on the legality of UK arms sales to Saudi Arabia for Amnesty International, Oxfam and Saferworld. The Opinion concluded that by authorising the transfer of weapons to Saudi Arabia, the UK government was acting in breach of its obligations under the Arms Trade Treaty, the EU Common Position on Arms Exports and the UK's Consolidated Criteria on Arms Exports. On 16 April 2018, Sands co-authored a piece in The Times in which it is argued that the UK had no established legal basis for the 2018 missile strikes against Syria. Sands is a contributor to the Financial Times and The Guardian and occasional contributor to the London Review of Books and Vanity Fair. Sands frequently comments on issues of international law and is a contributor to BBC programmes, Sky News, CNN, Al Jazeera and national radio and TV stations around the world. A Song of Good and Evil (performed at South Bank’s Purcell Room on 29–30 November 2014, Stockholm’s Berwaldhallen on 14 January 2015, Nuremberg Courtroom 600 at the invitation of the German Government to mark 70th anniversary of the opening day of the Nuremberg Trials on 21 November 2015, and Montauban's Théâtre Olympe de Gouges on 28 November 2015). It has also been performanced at King’s Place in London, and in Australia. Sands' work on East West Street: On the Origins of Genocide and Crimes against Humanity (2016) formed the basis for the documentary My Nazi Legacy: What Our Fathers Did. The film is directed by David Evans and premiered in April 2015 at the Tribeca Film Festival. It was released in the US on 6 November 2015 and in the UK on 20 November 2015. Sands wrote the script and appears in the film alongside two sons of prominent Nazi officials, Niklas Frank (the son of Hans Frank, the Governor-General of occupied Poland) and Horst von Wächter (the son of Otto Wächter, the Governor of Kraków in Poland and Galicia in Ukraine). The documentary, which explores the relationship between the two sons and their fathers, won the Yad Vashem Chairman’s Award at the Jerusalem Film Festival and was nominated Best Documentary at the Stockholm Film Festival and at the Evening Standard British Film Awards. In 2018, Sands wrote and presented the BBC Radio 4 documentary Intrigue: The Ratline about the disappearance of senior Nazi Otto Wächter, investigating the "ratlines" by which he escaped justice. Sands serves on the Board of the Tricycle Theatre (since 2008) and is currently President of English PEN (having served on the Board since January 2013). He is a Vice-President of the Hay Festival of Arts and Literature, and his interviews at Hay have included Julian Assange (2011); Vanessa Redgrave (2011); Keir Starmer (2013); John Le Carré (2013); Lord Justice Leveson (2014) and Tippi Hedren (2016). Sands lives in North London with his wife and three children. In an interview for the Guardian Sands asserted that "I want to be treated as Philippe Sands individual, not Philippe Sands Brit, Londoner or Jew." ^ a b "Prof. Philippe Sands QC - Matrix Chambers". Matrix Chambers. Retrieved 27 March 2016. ^ "UCL Laws Centre for International Courts & Tribunals". University College London. Retrieved 27 March 2016. ^ a b c "Prof. Philippe Sands QC - Matrix Chambers" (PDF). Matrixlaw.co.uk. Retrieved 27 March 2016. ^ List of Arbitrators, Court of Arbitration for Sport; accessed 18 April 2016. ^ Crace, John (13 February 2006). "Philippe Sands: Weapon of mass instruction". The Guardian. ISSN 0261-3077. Retrieved 27 March 2016. ^ "Center for International Environmental Law CIEL". Center for International Environmental Law. Retrieved 27 March 2016. ^ "Project on International Courts and Tribunals". pict-pcti.org. Retrieved 27 March 2016. ^ "Middle Temple". middletemple.org.uk. Retrieved 27 March 2016. ^ "Advisory Proceedings International Court of Justice". icj-cij.org. Retrieved 27 March 2016. ^ "Contentious Cases International Court of Justice". icj-cij.org. Retrieved 27 March 2016. ^ "Case view". pcacases.com. Retrieved 27 March 2016. ^ "Philippe Sands CV (Matrix Chambers)" (PDF). matrixlaw.co.uk. Retrieved 27 March 2016. ^ Norton-Taylor, Richard (3 February 2006). "Blair-Bush deal before Iraq war revealed in secret memo". The Guardian. ISSN 0261-3077. Retrieved 27 March 2016. ^ "House of Commons Hansard Debates for 25 February 2003 (pt 5)". publications.parliament.uk. Retrieved 27 March 2016. ^ Philippe Sands' Letter to the Chilcot Inquiry (10 September 2010) Archived 12 May 2013 at the Wayback Machine; accessed 18 April 2016. ^ "House of Commons - Foreign Affairs - Minutes of Evidence". publications.parliament.uk. Retrieved 27 March 2016. ^ "House of Commons - Foreign Affairs - Fourth Report". www.publications.parliament.uk. Retrieved 27 March 2016. ^ Philippe Sands Evidence to the US House of Representatives Archived 17 December 2008 at the Wayback Machine, 6 May 2008; accessed 18 April 2016. ^ Philippe Sands Evidence to the US Senate Committee on the Judiciary, 19 June 2008; accessed 18 April 2016. ^ "Rapport Commissie-Davids". rijksoverheid.nl (in Dutch). Retrieved 27 March 2016. ^ Mayer, Jane (13 April 2009). "The Bush Six". The New Yorker. ISSN 0028-792X. Retrieved 27 March 2016. ^ A UK Bill of Rights? The Choice Before Us, nationalarchives.gov.uk; accessed 18 April 2016. ^ Sands, Philippe; Kennedy, Helena (3 January 2013). "In Defence of Rights". London Review of Books. pp. 19–22. ISSN 0260-9592. Retrieved 27 March 2016. ^ "This British bill of rights could end the UK". The Guardian. 14 May 2015. ISSN 0261-3077. Retrieved 27 March 2016. ^ Climate Change and the Rule of Law: Adjudicating the Future in international Law, kcl.ac.uk, 17 September 2015. ^ Vaughan, Adam (18 September 2015). "World court should rule on climate science to quash sceptics, says Philippe Sands". The Guardian. ISSN 0261-3077. Retrieved 27 March 2016. ^ "UK Government breaking the law supplying arms to Saudi Arabia, say leading lawyers". amnesty.org. Retrieved 27 March 2016. ^ "Philippe Sands". theguardian.com. Retrieved 27 March 2016. ^ "Philippe Sands–LRB". www.lrb.co.uk. Retrieved 27 March 2016. ^ "Philippe Sands profile". Vanity Fair. Retrieved 27 March 2016. ^ "18 November 2015, Today - BBC Radio 4". BBC.co.uk. Retrieved 27 March 2016. ^ Billington, Michael (24 April 2007). "Called To Account". The Guardian. ISSN 0261-3077. Retrieved 27 March 2016. ^ "Torture Team: The People Who Brought Cruelty And Criminality To Guantanamo divised background by Nicolas Kent, Vanessa Redgrave & Philippe Sands, will be at the Tricycle Theatre for one night only - Sunday, 18 May 2008". londontheatre.co.uk. Retrieved 27 March 2016. ^ "Vanessa Redgrave, Ralph Fiennes, Jay Sanders, Philippe Sands, Gillian Anderson - Hay Festival". hayfestival.com. Retrieved 27 March 2016. ^ "Long Wharf's 'Torture Team' Features Vanessa Redgrave, Jeff McCarthy, Jay O. Sanders Playbill". Playbill.com. Retrieved 27 March 2016. ^ "A Song of Good and Evil Southbank Centre". www.southbankcentre.co.uk. Retrieved 27 March 2016. ^ Radio, Sveriges. "Philippe Sands "A Song of Good and Evil" - P2 Live". sverigesradio.se. Retrieved 27 March 2016. ^ Prinzipien, Internationale Akademie Nürnberger. "A Song of Good and Evil". International Nuremberg Principles Academy. Archived from the original on 15 March 2016. Retrieved 27 March 2016. ^ "La chanson du bien et du mal". Confluences.org. Retrieved 27 March 2016. ^ "A Song of Good and Evil". Kings Place. Archived from the original on 2 April 2016. Retrieved 27 March 2016. ^ Sands, Philippe. "The Diary: Philippe Sands". Financial Times. ISSN 0307-1766. Retrieved 27 March 2016. ^ "Tribeca Film Festival 2015: My Nazi Legacy - What Our Fathers Did". Archived from the original on 26 March 2015. Retrieved 27 March 2016. ^ "My Nazi Legacy (2015) Wildgaze". wildgazefilms.co.uk. Retrieved 27 March 2016. ^ "What Our Fathers Did: A Nazi Legacy reviews". metacritic.com. 20 November 2015. Retrieved 11 March 2017. ^ "Cemetery of Splendour". jff.org.il. Retrieved 27 March 2016. ^ "Documentary Competition". Stockholm Film Festival. Archived from the original on 8 April 2016. Retrieved 27 March 2016. ^ "Evening Standard British Film Awards - the contenders". Evening Standard. Retrieved 27 March 2016. ^ "Intrigue: The Ratline". BBC. Retrieved 23 October 2018. ^ Tricycle Threat, Board of Directors, tricycle.co.uk; accessed 18 April 2016. ^ "Board of Trustees- English PEN". EnglishPEN.org. Retrieved 27 March 2016. ^ "Hay Festival Council". hayfestival.com. Archived from the original on 22 August 2016. Retrieved 27 March 2016. ^ "Julian Assange - Hay Festival". www.hayfestival.com. Retrieved 27 March 2016. ^ "Vanessa Redgrave talks to Philippe Sands - Hay Festival". hayfestival.com. Retrieved 27 March 2016. ^ "Keir Starmer talks to Philippe Sands - Hay Festival". hayfestival.com. Retrieved 27 March 2016. ^ Rob. "John le Carré Talks to Philippe Sands". MAKING HAY at the Hay Festival. Retrieved 27 March 2016. ^ "Brian Leveson talks to Philippe Sands - Hay Festival". hayfestival.com. Retrieved 27 March 2016. ^ Moss, Stephen (16 November 2016). "Philippe Sands: 'Alarm bells are ringing in this country'". The Guardian. ISSN 0261-3077. Retrieved 14 April 2019. ^ "W&N buys title from lawyer Philippe Sands". The Bookseller. Retrieved 27 March 2016. ^ Bernard-Henri Lévy (23 May 2016). "'East West Street,' by Philippe Sands". The New York Times Book Review. Retrieved 9 September 2016. ^ "Baillie Gifford Prize: Lawyer wins award for book about genocide". BBC News. 16 November 2016. Retrieved 16 November 2016. ^ "The Slightly Foxed Best First Biography Prize Archives". Slightly Foxed. Retrieved 28 October 2016. ^ "Long List Announced For 2016 Cundill Prize In Historical Literature | Newsroom - McGill University". www.mcgill.ca. Retrieved 28 October 2016. ^ "Jewish Quarterly-Wingate Prize 2017 Long List - Jewish Quarterly". Jewish Quarterly. 13 November 2016. Retrieved 19 November 2016. ^ Alison Flood. 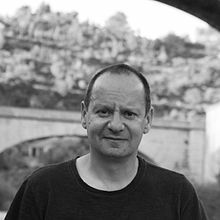 "Philippe Sands wins the 2016 Baillie Gifford prize for nonfiction". The Guardian. 15 November 2016. ^ Benedicte Page (23 February 2017). "Sands and Gundar-Goshen win JQ Wingate Literary Prize". The Bookseller. Retrieved 6 April 2017.